We specialize in the treatment of asthma and allergic diseases of the nose, throat, eyes, ears, and sinuses. In this, we act as a consultant to your primary care doctor. 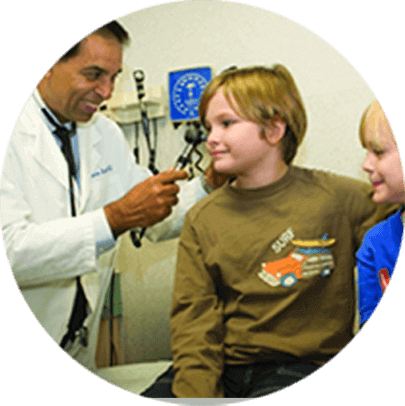 Both children and adults who suffer from asthma and allergy symptoms may benefit from our services. Complete allergy evaluations consist of a review of your medical history, physical examination, and may include skin testing, pulmonary function testing, or other tests specific to your symptoms. Allergies and asthma are usually inherited diseases that are not truly curable. With the help of medications, avoidance measures and allergy injections, they can be kept under excellent control and prevent secondary damage to organs. For this reason, the patient (or parent) needs to learn about the disease and its treatment. We will provide you with literature and brochures to read, videos to watch while visiting our office, and one-on-one counseling using the most current technology to answer any questions you may have regarding your illness. Complete allergy evaluations consist of a review of your medical history, physical examination, and may include skin testing, pulmonary function testing, or other tests specific to your symptoms. Allergies and asthma are usually inherited diseases that are not truly curable. With the help of medications, avoidance measures and allergy injections, they can be kept under excellent control and prevent secondary damage to organs.